Two high-scoring local boys — one who came to Toronto as a free agent, one who opted to stay in Florida. Steven Stamkos scored 43rd goal, first on the Lightning, in a 4-2 loss to Montreal on Tuesday. He needs two points to match his career high of 95. John Tavares leads the Leafs with a career-best 47 goals, and has two games to try to reach 50. 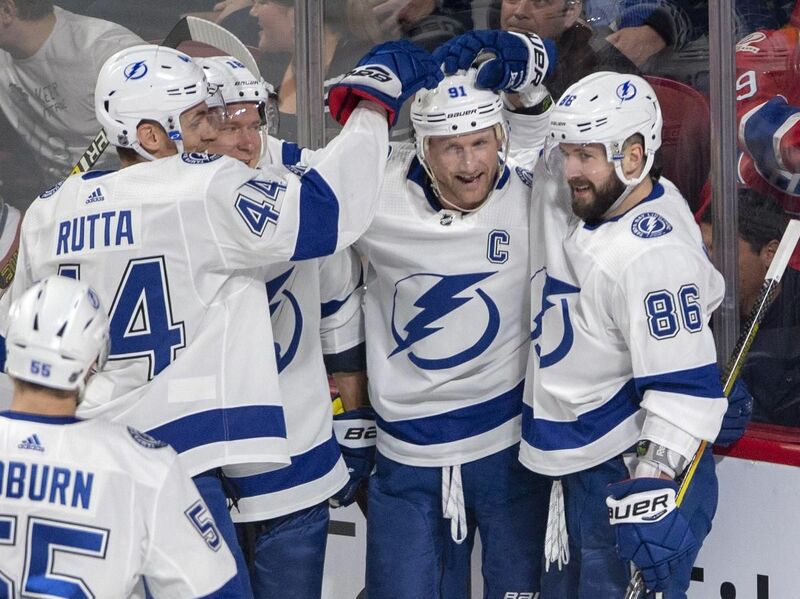 The 60-win Lightning wrapped up a playoff berth a month ago and clinched the franchise’s first Presidents’ Trophy on March 18. They need wins in their last two games to match the third-best regular season in NHL history ... Tampa Bay backup goalie Eddie Pasquale has been summoned from the minors, and has a 1-1 record and a flair for big saves ... Former Leafs defenceman Anton Stralman played in Montreal, his first game since a lower body injury March 5, and led the Lightning in ice time (22:52). Saturday at Montreal, 7 p.m.